Tropical, Charming, Spectacular! Small group rates! 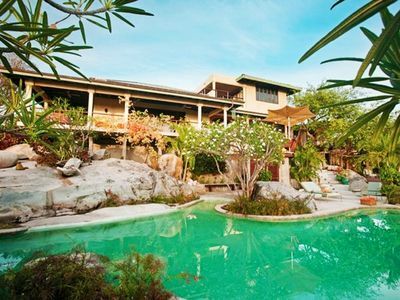 At the crest of a winding road bordered with bougainvillea and frangipani, you’ll discover Fandango House! 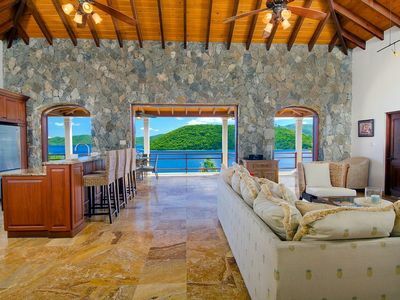 This charming villa sits on top of Spyglass Hill on West End Tortola and boasts stunning views of Jost Van Dyke, Sandy Cay and Apple Bay – home to some of the best surfing in the Caribbean. Fandango House is comprised of three separate buildings (New Fandango, Old Fandango and the Pool House) linked together by a garden pathway. All three buildings are decorated and furnished with an island flair. 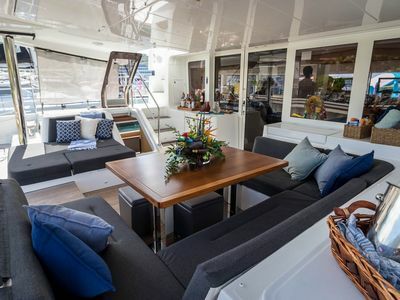 Fandango House is the perfect villa to hold a family reunion, reconnect with friends, extend time on island after a long sail, or memorialize a special occasion! Separate living spaces are IDEAL for enabling “personal time” in a group setting. New and Old Fandango feature fully equipped kitchens, lovely verandas and patios for sunset dining and relaxing, spacious living rooms, charming bedrooms with private baths, and breathtaking views! 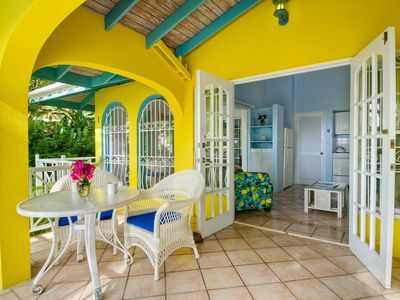 The Pool House features a single bedroom (twin or king) with an ocean view and a private bath; and it’s literally a step away from the swimming pool! The pool area is a fantastic place to sunbathe, entertain guests with a fresh Caribbean meal, or do some late night stargazing! Gentle mountain breezes fill the house at night and it’s not unusual to fall asleep to the music of the island tree frogs. You must have a passport! Fly into St Thomas, U.S. Virgin Islands. Take a 45 minute ferry ride to West End Tortola. Fandango House is an easy 10 minute drive from the West End Ferry dock. You can also fly into San Juan, PR. San Juan offers commuter flights to the Beef Island Airport which is located on the East End of Tortola. SAILORS........... Maximize and extend your Caribbean vacation on land! 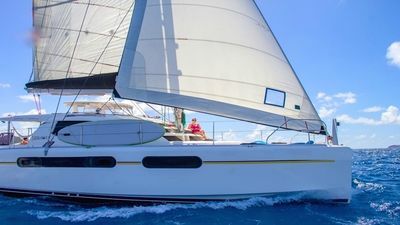 World renown for sailing, diving, snorkeling, pristine beaches and tranquil turquoise waters – the BVI is comprised of 51 islands – many of which are sparsely inhabited. 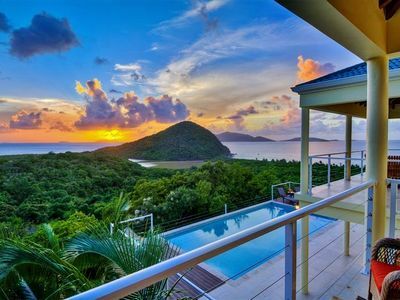 Tortola, at 14 miles long, is the largest of the islands with Road Town as the capital city. Apart from visiting some of the world’s most beautiful beaches, take the opportunity to charter a sailboat and visit the neighboring islands; schedule a snorkel trip or surfing lesson; explore the beauty of the underworld with a day of scuba diving; take a shopping spree in Road Town; go on a deep-sea fishing expedition; hike to the top of Sage Mountain Rain Forest; and always treat yourself to local Caribbean cuisine! 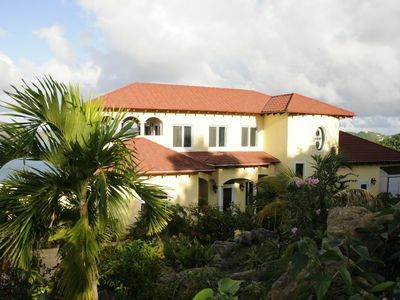 If you are looking for a place to truly “get away from it all” then Fandango House is for you! 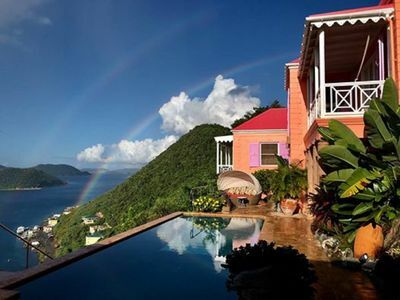 Tortola’s simplicities are its charms. Don’t be surprised to see people visiting in the street, goats wandering along the roadsides, or local artisans selling their wares all over the island. Fandango House is an exceptional vacation value. 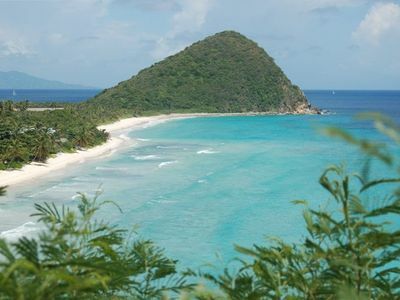 We welcome you to the island of Tortola - “Nature’s Little Secret”! Life is easy here - leave your cell phone and iPad behind and visit us in the Caribbean! 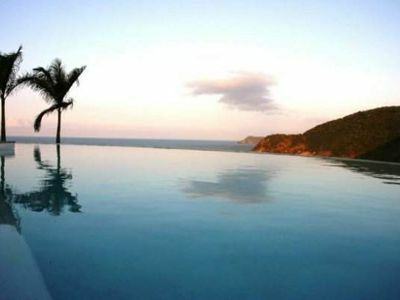 Tortola/Belmont Estates Villa w/ Infinity Pool!